From preparing your child for his BMT to coaching parents on recovery care, we are here for your family every step of the way. The Aflac Cancer and Blood Disorders of Children’s Healthcare of Atlanta Blood and Marrow Transplant (BMT) Program is one of the largest in the nation. But, your child is more than a number to our team. Your child deserves outstanding care designed just for him. In fact, we believe your child deserves the best care possible. During a BMT, your child will receive healthy stem cells to help restore bone marrow stem cells that are damaged, missing or not working. BMT is not a surgery; it is a treatment that takes place over weeks and months. The transplant cells are given intravenously (through a vein) like a blood transfusion. An autologous transplant is when the patient donates their own blood or bone marrow stem cells. Blood or bone marrow is taken from your child and given back later after receiving very strong chemotherapy to treat a disease. An allogeneic transplant is when the blood or bone marrow is taken from another person and given to your child. This donor could be a sibling, parent or an anonymous matching donor. Finding a matching donor may take time. The type of BMT your child needs depends on the disease being treated and who will give your child the best blood or bone marrow to treat his illness. Your doctor will discuss all your options with you before making any decisions. Our BMT Program has been granted accreditation under the Foundation for the Accreditation of Cellular Therapy (FACT) - Joint Accreditation Committee-ISCT and EBMT (JACIE) International Standards for Hematopoietic Cellular Therapy. We have successfully achieved re-accreditation through several three-year cycles, and now the accreditation also includes the Children's Apheresis Program as a FACT-accredited collection facility. Re- accreditation applies to all services and facilities inspected by FACT. These include pediatric allogeneic and autologous hematopoietic progenitor cell transplantation; Immune effector cellular therapy; marrow cellular therapy product collection; Peripheral blood cellular therapy product collection; and Cellular therapy product processing with minimal manipulation. In addition, the accreditation includes contract services from peripheral blood cellular therapy product collection performed by the Emory University School of Medicine Bone Marrow and Stem Cell Transplant Center, an independent FACT-accredited program. The FACT accreditation is a voluntary accreditation process that shows a commitment to continuous improvement in the quality of our BMT Program. FACT-accredited organizations must comply with international standards that are established by experts in the field of blood and marrow transplantation. 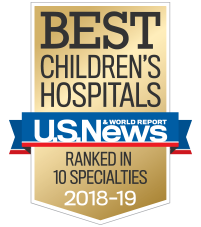 As one of the top pediatric BMT programs in the country, we provide expertise in autologous and allogeneic transplants for a wide variety of cancers and disorders of the blood, immune system and metabolism, and are international leaders in BMT for sickle cell disease, as well as immune dysregulation and immune deficiency. We provide a wide range of cutting-edge treatments, including gene therapy, chimeric antigen receptor (CAR) T therapy, haploidentical (half-matched donors), and novel approaches for the prevention and management of graft-versus-host disease (GVHD). Our patients having among the best survival rates in the country is a testament to our careful attention to family-centered care. In fact, we have consistently exceeded the predicted benchmark of survival for our mix of patients. We are one of the largest pediatric BMT programs in the country, performing 77 BMTs in 2017. We have been recognized as a national leader in transplanting patients with sickle cell disease, curing more than 73 children. Our 100-plus day survival rates are better than national average for autologous and allogeneic transplants. We perform an average of more than 70 BMTs annually over the past three years and more than 1,000 BMTs since our program’s inception in 1985. We are recognized for performing the world’s first successful unrelated cord blood transplant for a patient with sickle cell disease. We have a growing unique, multidisciplinary Immunohematology Program focused on curing immunodeficiencies and immune dysregulation through BMT. We have status as one of a select group of centers offering gene therapy for sickle cell disease and thalassemia. We offer CAR-T cell therapy and cutting-edge treatment for patients with acute lymphoblastic leukemia. We offer clinical trials for BMTs from half-matched related donors, thus making BMTs available to patients without a sibling or unrelated donors. We have a multi-disciplinary clinic for management of GVHD. We are accredited by the Foundation for the Accreditation of Cellular Therapy. We manage one of the largest BMT programs in the country, and performed 77 BMTs in 2017 and more than 1,300 since our program’s inception in 1985. We perform among the largest volume of autologous and allogeneic transplants. We have 100-plus day survival rates better than the national average and better than predicted for our mix of patients and types of BMTs. We are recognized as an international leader in performing BMTs for patients with sickle cell disease and have cured more than 73 children. We have a unique multidisciplinary program focused on curing immunodeficiencies and immune dysregulation through BMT. Our center is accredited by the Foundation for the Accreditation of Cellular Therapy (FACT). We provide several cutting-edge therapies, such as gene therapy, chimeric antigen receptor (CAR) T therapy and haploidentical transplants. Bone marrow harvest: For a bone marrow collection, blood stem cells are most often collected from bone marrow in the hip bone. The hip bone has a large amount of bone marrow and is easy to access. The collection is done in the operating room while the donor is under general anesthesia. The total amount of cells removed depends on the weight of your child and the weight of the donor. The bone marrow collection takes about one hour. Peripheral blood stem cell collection: Blood moving through the bloodstream is called peripheral blood. Blood stem cells can be removed from the peripheral blood. The donor may receive a medicine called a growth factor—granulocyte-colony stimulating factor (GCSF) or granulocyte macrophage colony-stimulating factor (GM-CSF). This medicine helps the bone marrow make a lot of new blood stem cells quickly and pushes them into the bloodstream. The blood stem cells are collected through a large I.V. in the arm or a central venous line (CVL) into a machine called an apheresis machine. The machine returns other important cells, including red blood cells, white blood cells, platelets and plasma, back into the donor’s blood. The machine does not cause pain. Umbilical cord blood collection: The placenta and umbilical cord of a newborn baby are a rich source of blood stem cells. The blood stem cells can be collected soon after a baby is born by cutting the umbilical cord or removing the blood from the cord and placenta right away. Your child may have chemotherapy and/or radiation to get him ready for his BMT. This is called a conditioning regimen. The kind of therapy your child needs depends on his disease and health. Your child will start his therapy about five to 22 days before his BMT depending on the conditioning regimen used. Stops your child’s bone marrow cells from fighting the new blood and bone marrow. Clears the bone marrow of your child’s cells, making room for the new donor marrow cells. Kills any cancer cells, if your child has cancer. Your child may need radiation before his BMT to help kill any cancer cells and help his body accept the graft. This therapy uses strong X-rays aimed at your child once or twice a day for 10 to 15 minutes. The day of your child’s transplant is called Day 0, which is when your child will get the new blood stem cells infused through an I.V. Engraftment is the when healthy donor cells begin to grow. It usually happens about two to four weeks after the BMT. Autologous transplants stay two to three weeks. Allogenic transplants stay three weeks to a little more than a month. Infections: Your child’s immune system is very weak the first six to nine months after a transplant, which makes it difficult to fight off common infections such as a cold. The reason for the weak immune system is that the immune system is new and medicines your child will need to take in the early months after BMT. However, these medicines prevent rejection of the new bone marrow and GVHD. To prevent infections, your child cannot go to many places with a lot of people during his recovery, including school, church, stores and other people’s homes. Any signs of infections should be brought to the attention of your BMT medical team immediately. GVHD: GVHD is when the graft that is made up of donor cells can sense your child’s body (the host) as different. In GVHD, donor cells attack your child’s body. It only occurs in allogeneic transplants, because the donor cells are from someone else. Having your child take his medicines on time every day is the single most important thing you can do to help prevent GVHD. Medicines: Your child may have to take medicines for months after his BMT. It is important that he takes all his medicine on time every day. Taking his medicines on time is the best way to fight GVHD and stay healthy through the recovery process. Mouth care: Your child’s system for fighting infections in his mouth is also weakened. It is important to regularly clean his mouth to help keep him from getting mouth sores that could become infected. Blood pressure: Your child’s blood pressure may be high as a result of his medicines. This is called hypertension. Though this is normal for children who undergo a BMT, your child may also need to take medicine to control his blood pressure. Body changes: Your child may see some changes in his body, including weight gain or loss, skin color changes, acne or stretch marks, and more facial or body hair. For teenagers already undergoing body changes, their skin may be darker, more sensitive or dry for many months. Most of these changes will go away with time or as his medicines change. Sun protection: The sun is even more dangerous if your child has had a BMT. It can cause skin cancer and trigger GVHD, or make it worse. To protect your child, they should wear protective clothing and use sunblock with a sun protection factor of 30 or higher. Pets: Most pets are fine but talk with your doctor to see if it is OK to have a pet near your child. Nutrition: Making sure your child eats well is important after a BMT. Our team will provide food safety instructions to follow. Vaccines: Your child’s immune system for fighting diseases will be weakened. We recommend checking with us if your child needs any vaccines the first year after his transplant. Any vaccines given before the transplant for those receiving an allogeneic transplant will no longer work. They will need their vaccines administered again, and these will be given starting six months after the transplant and spread out over a period of months. We can give your family doctor a vaccine schedule to follow to help make sure your child does not get a vaccine too soon. Going back to school: It is important your child returns to school only after it is medically safe. This can take six to nine months after a BMT. Every child recovers differently. We will work with you to get your child back to school as soon as possible, but while he is out of school, our social worker will assist your child’s school in enrolling him in a homebound school program. Learn how to prepare for your visit to the Aflac Cancer Center, including information about our transitional housing options for families traveling from outside metro Atlanta. Bone Marrow Foundation: This patient aid program assists patients with transplant-related costs, such as a donor search, compatibility testing, bone marrow harvesting, medicines, home and child care services, medical equipment, transportation and housing expenses. Cancer Care: This program is staffed by oncology social workers who provide emotional support, information and financial assistance to cancer patients and their loved ones. Children’s Organ Transplant Association (COTA): COTA provides fundraising assistance for children and adults needing lifesaving transplants. Staff members and advocates work with the family to set up the initial organization and campaign goals prior to an on-site visit. Volunteers, family members and the staff work as a team to raise the necessary funds. Leukemia and Lymphoma Society: This organization provides education, sponsors, research and limited financial assistance to patients who need treatment for leukemia, lymphoma, Hodgkin’s disease or myeloma. Contact your local Leukemia and Lymphoma Society chapter for more information. Lymphoma Research Foundation: This foundation provides reimbursement grants to lymphoma patients in need of financial assistance. The grants are available for uncovered expenses incurred during treatment, such as child care, travel costs needed to undergo treatment, medical aids and devices, educational and support meetings, camps, cosmetic aids (wigs, scarves, etc.) and hygienic products. Grants must be used within one year from the award date. Be the Match: This organization, along with the National Marrow Donor Program, helps patients afford a BMT, find a matching donor and build a future as advances in medical research are made. Medicaid: Medicaid is a medical assistance program that helps eligible people who cannot afford medical care pay for some or all of their medical bills. Medicaid can be obtained through a variety of programs administered by the Division of Family and Children Services and the Social Security Administration. Information regarding eligibility requirements can be obtained from a transplant financial counselor or social worker. National Children’s Cancer Society: This organization supports children with cancer and their families. It provides financial assistance for blood stem cell transplant and emergency ancillary expenses, education, information, advocacy and emotional support for children and families dealing with a child’s cancer. Angel Flight of Georgia: This organization provides free transportation for people who have a medical need that cannot be filled in their local area. Pilots donate time and expenses to provide air travel to treatment centers. Local hotels: Transplant social workers maintain a current list of hotels in the area. Some of these hotels provide a hospital discount. The transplant social worker can suggest which hotels will best fit your needs (short-term, long-term, necessary amenities, location). Medicaid nonemergency transportation: Nonemergency transportation services, subsidized by Georgia Medicaid, are provided for patients who have Georgia Medicaid coverage. Information about services provided in your local area and contact numbers can be obtained from the transplant social workers or by calling your local Division of Family and Children Services. National Patient Air Transport Helpline (NPATH): This organization provides information and referrals to low-income patients who need air transport to distant locations for specialized treatment or recovery. If charitable means cannot meet the patient’s financial need, NPATH will provide information on discounts from all known commercial services. Ronald McDonald House: This facility provides lodging for patients and their families during medical treatment. The initial referral must come from the transplant social workers. A donation of $10 per day is requested. Camps, retreats and other events offer many therapeutic benefits for children and families who are dealing with serious illness. BMT patients must talk to their doctors before planning camp activities due to limitations as a result of the procedure. We understand you want to be certain your child is receiving the best possible treatment available. Second opinions can help provide the information you need to make an informed decision about your child’ the treatment. For families traveling outside the U.S., we are also here to help meet your unique needs and challenges. Learn how you can help make a difference in the life of a child battling cancer or a blood disorder.